This is a combination of document camera and whiteboard. 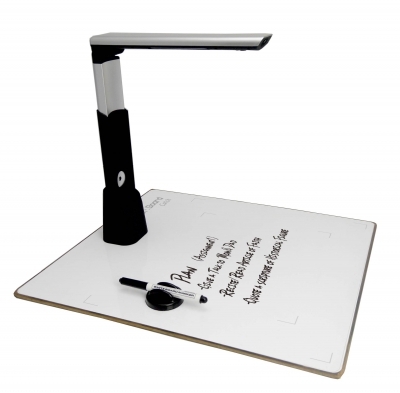 So it includes both document camera's high scan function and writing pad's instant memo function. The words written by marker on the whiteboard can instantly project on the monitor.